How can I get my finished playlist considered for promotion to "BlueBeat Radio"? On your playlist editing page, just below the "listen" link, there is a box which provides a link to request a review. We carefully consider each request, so make sure your playlist is of great quality! Things to consider: Does your title match the theme of the list? Does the description accurately describe the contents? Is there enough music in the list to provide a pleasant listening experience throughout a few playbacks? If your playlist gets promoted to BlueBeat Radio, you'll see your new custom image mosaic right away, wherever your playlist is displayed! How do I make my own playlists for listening and sharing? You must have a BlueBeat.com account in order to create your own playlists. Playlists are complilations of music that contain songs hand picked by users. You may add hundreds of songs of your choice. When you've made a playlist with the minimum amount of playable music (10 artists, 10 albums, 30 songs), you may share it with the rest of the BlueBeat community and listen immediately. Also see What are the restrictions of building playlists / Why are they there?. What are the restrictions of building playlists / Why are they there? After a playlist has passed the minimum requirements for playback (10 artists, 10 albums, 30 songs of playable music, it is deemed "ready to listen". Your playlist will be shared with the rest of the BlueBeat community once you listen to it, due to recording industry guidelines which state, in part, that online radio stations must be publicly accessible before they can be heard.The playback of your playlist is subject to the DMCA Sound Recording Performance Complement. BlueBeat always ensures that the playback of all playlists on the site complies with these 3 hour rules, but it is your job as the DJ to build a playlist diverse enough to be played again and again, ideally for hours on end. If there is not enough variety in your playlist to continue playing under the Complement, the BlueBeat player may close prematurely because it cannot construct a valid playlist, and your listeners will be left unsatisfied. Give your audience the variety they crave and they will continue to listen to your playlists! How do I remove content from my playlist? Anything you add to your playlist can be removed by clicking on the minus icon next to the item you with. However, once your playlist has been listened to you cannot remove content if it will cause the playlist to be less than the minimum number of songs (10 artists, 10 albums, 30 songs of playable music) for legal reasons. In this case, you'll have to add more content before you can remove content. Why can't I listen to my playlist? You'll need at least the minimum requirements for playback: 10 artists, 10 albums, 30 songs of playable music in your playlist. Also see What are the restrictions of building playlists / Why are they there?. What are the terms and conditions for building playlists? How do I change the name and description of my playlist? We hand-select quality playlists, both our own and those of users) to feature more prominently at BlueBeat.com. These are known collectively as BlueBeat Radio. Playlists that are included in BlueBeat Radio display a custom image mosaic and generally garner far more attention and playback within the site. What do you mean "generate a playlist"? BlueBeat can automatically create playlists for you, based on a "seed" of an artist or song requested. From this beginning, we harness the collective intelligence of the BlueBeat community to recommend and play music you may also like. It's easy: Enter an artist or song title into the input box on the homepage and choose your "seed" from the options in the dropdown, which will begin your new playlist. You will also see play buttons on the upper left of artist & album pages -- to begin your generated playlist, just click! Can I rewind/fast forward the music on the player? BlueBeat uses a non-interactive license for streaming music online, which precludes us from allowing listener control over playback; it's similar to how radio stations function. To remain DMCA-compliant with our current license, we cannot provide controls to modify the playback timing of the songs. In the future we may switch to a (more costly) interactive license or offer features from multiple licenses, but for now we aim to keep BlueBeat free to use for our listeners. How can I make a link to my favorite BlueBeat playlists? Find the playlist you'd like to send. Right click on the link which launches the playlist & 'copy link location' (IE users: go to "Copy Shortcut"). This URL is now in your computer's clipboard, ready to be used however you like. How can I get my band's music played on BlueBeat.com? Give us a minimum of 2 weeks to review & process the CD (Note: your CD will not be returned), then check back often. Once the music is uploaded onto BlueBeat, be sure to promote your BB artist page & music to your fans! Also make sure you and/or your band have registered with 1) SoundExchange and 2) ASCAP, BMI, or SESAC to receive your royalties! Do I need a membership to use BlueBeat? We offer a Free membership plan that allows the user to listen to 50 free songs once signed up. 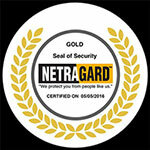 Yes, we strive to follow all PCI standards and keep all your sensitive data 100% secure. What software/hardware requirements are needed on my computer to use BlueBeat? Why are you asking for a username and password? How do I log in? To access all features of BlueBeat, you must have an account. If you decide to register with BlueBeat (easy and free! ), we'll ask for a username as well as password of your choice, so that we'll be able to recognize you whenever you visit. If you have difficulties logging in to an account you've already created, see "I can't log into the BlueBeat site". If you are having problems playing music (which can be done without an account), please look over the Technical Support portion of our help documentation, which covers possible scenarios for music playback problems. I can't log into the BlueBeat site. Any suggestions? The most common cause of log-in trouble is an incorrect username and/or password. In the event of such occasions, visit our forgot password page. If you are attempting to log in and you are certain your information is correct, it's possible that your cookie settings are too restrictive (what are cookies?) or your browser has trouble keeping track of your visit (check our requirements page for our browser recommendations). If you continue to experience difficulty, please fill out our problem report form. How do I delete/remove my BlueBeat account? How do I modify or change my personal info or password? Go to the "Manage Your BlueBeat" link at the top-right of the page after login. Click on the "Change Details" button under the Profile section. We'll prompt you to verify your password in order to change your information. If you've forgotten your password, follow the "forgot password page" link in the sidebar. I'm getting choppy music playback. Do you have any suggestions? The most frequent cause of choppy music is a slow internet connection (Why do I need a broadband internet connection to listen to BlueBeat?). It is also possible that there are incompatibilities between your system and the BlueBeat music service. If you suspect this is the case, please review our system requirements page, and if that does not seem to address the problem, visit our problem report form and notify us.